Reflections on Another Year Gone By Rutt Handcrafted Cabinetry Dealer. Cesar Italian Cabinetry Dealer. DuraSupreme Cabinetry Dealer. Cuisistock Cabinetry Dealer. This is the time of year we reflect on all the projects we have completed and the clients we have served. Knowing each family is spending their holidays joyously in their newly renovated homes makes every day we do our job worth it. We just won two 2017 NARI LI/NYC Awards for Contractor of the Year for this Manhattan apartment as well as a stunning home on the North Shore of Long Island. The clients are beyond happy with their new layout & kitchen. We will talk more about this in our next post. We are thankful for our wonderful clients. 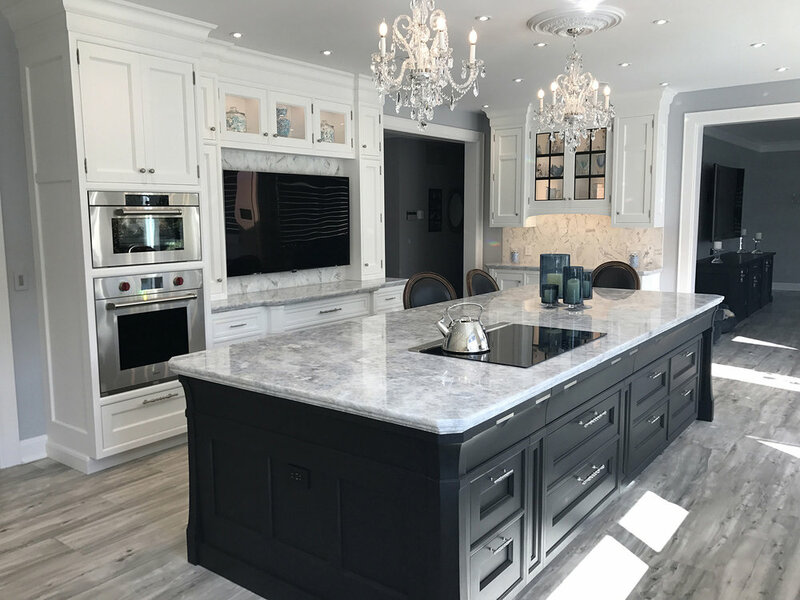 When we finish a project and our client is thrilled with their new kitchen, or any project we work on, it gives us such great pleasure. We have beautified homes for over 34 years. We look forward to serving our Long Island and NYC communities in 2018. Amazing Rutt Cabinetry - RUSKIN style. Designed by Elite.